 To assist the Government in implementing its policies on enhancing financial inclusion and economic empowerment in the rural areas. The successful candidate will report to the Managing Director. He/She will be responsible for maintenance of books of accounts, financial reporting and all back office operations. He/She will supervise the financial budgeting process and reporting, payment to suppliers, disbursement of loans as well as formulation of controls to safeguard the financial resources of the bank.  Perform any other related duties as assigned by the Managing Director from time to time.  High developed Computer skills. The successful candidate will report to the Managing Director. He/She will be responsible for coordinating the planning of the bank programs and activities, research and advisory services as well as policy-related matters for the bank.  Carry out any other related duties as may be assigned to him/her by the Managing Director from time to time. The successful candidate will report to the Director of Credit and Business Management. He/She will be responsible for management of all funds received from the Government, its Departments and Agencies, Developmental Partners and other stakeholders as per applicable agency agreements.  Managing all disbursement to beneficiaries to ensure that the funds are utilized as envisioned.  Carry out any other related duties as may be assigned to him/her by his/her Supervisor or Managing Director from time to time.  Possession of knowledge of the banking industry and its related laws, regulations, policies and procedures will be an added advantage. The successful candidate will report to the Agency Funds Management Manager. He/She will be responsible for management of all funds received from the Government, its Departments and Agencies and other stakeholders for development activities as per applicable agency agreements.  Carry out any other duties assigned by the Supervisor from time to time.  Strong computer based analytic skills. The successful candidate will report to the Smallholder Agriculture Transformation Manager. He/she will be responsible for transformation of smallholder farmers operating less than two (2) hectares of crop land and depending on household members for most of the labour from subsistence to commercial farming.  Perform any other duties assigned by the Supervisor from time to time.  Minimum of 3 years’ experience in credit assessment and/or relationship banking at Officer level;  Strong computer based analytic skills.  Good communication and interpersonal skills. The successful candidate will report to the Strategic Planning and Policy Manager. 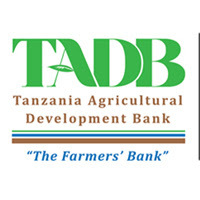 He/She will be responsible for coordinating the planning and performance management processes of the bank; including formulation of bank policies; review of strategic plan, business plan and action plans; and overseeing the effectiveness of plan implementation by Departments and Units across the bank.  Strong analytical and report writing skills. The successful candidate will report to the Public Relations and Marketing Manager. He/She will be responsible for provision of publicity services, maintenance of bank’s relationship with stakeholders and maintenance of local media services for public relations and marketing.  Carry out any other related duties as may be assigned to him/her by Supervisor from time to time. Applications should reach the undersigned not later than 4.00 pm on Friday, 1 st June 2018.